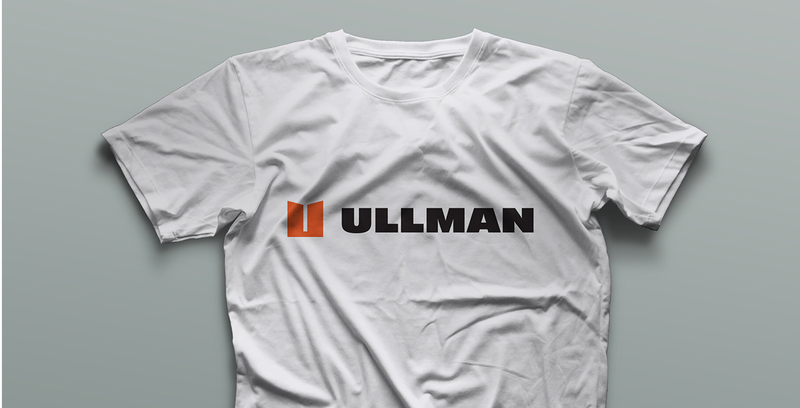 Ullman Devices had been in business for over 80 years. They started in 1935 by designing and selling hair dryers, then transitioning to manufacturing devices that would help with plane and vehicle repairs during WWII, and finally progressing to engineering devices that would assist in solving a lot of the ancillary repair issues technicians were experiencing on a day to day basis. 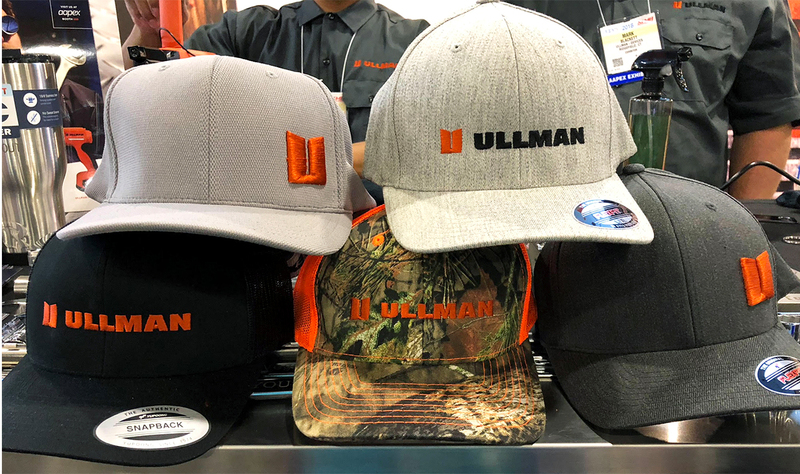 All along this journey Ullman kept the same brand mark they started with back in the beginning and that particular mark was not representing the new, progressive attributes of the present day Ullman brand. 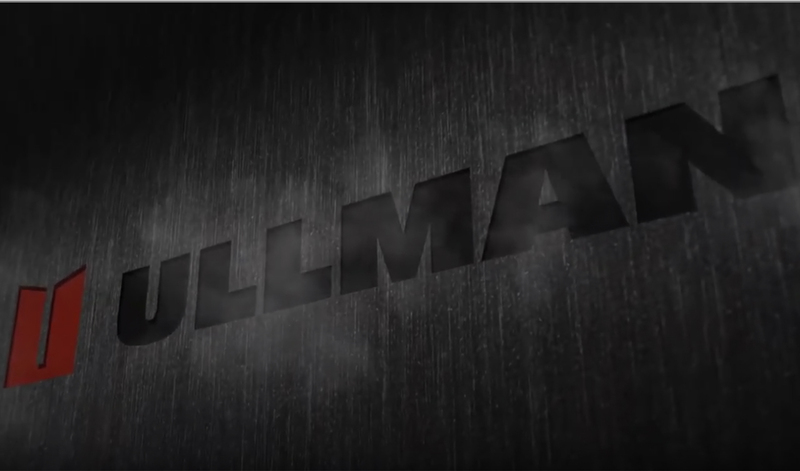 Bring Ullman into the 21st century. Start from the ground up and develop an entirely new marketing & communication strategy that would serve to transition every aspect of the company and impact every touchpoint with its growing distribution network. Oh, and do this all in 60 days! 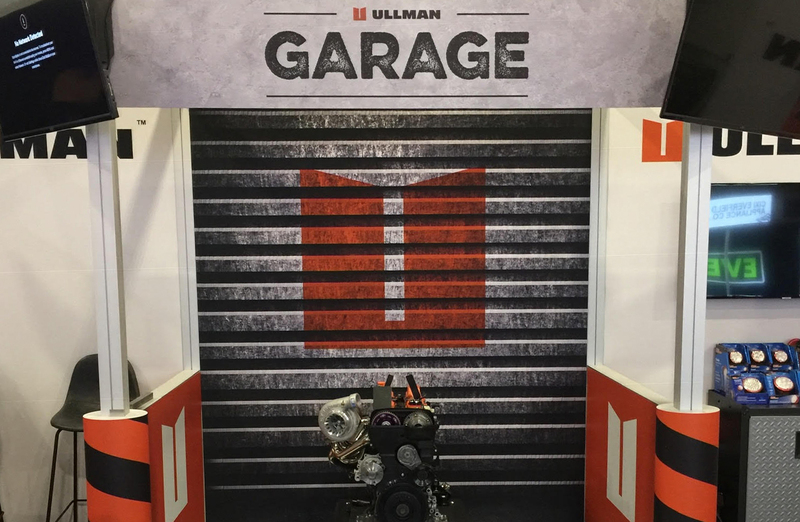 The game plan was to simply focus our attention on the idea that Ullman had been an excellent device engineering company for many years and their relationship with distributors was in good shape. 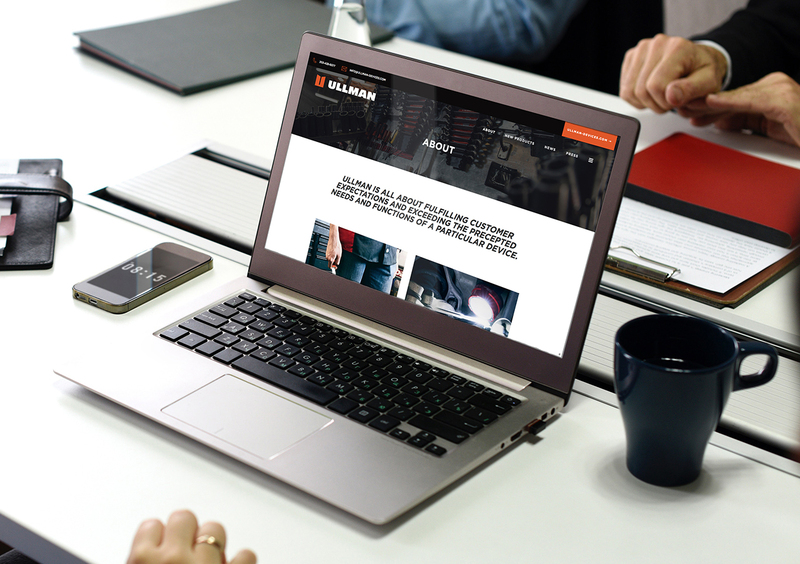 What we needed to do now was give the brand a facelift and create a communication tactical plan that would truly represent the company for many years to come. 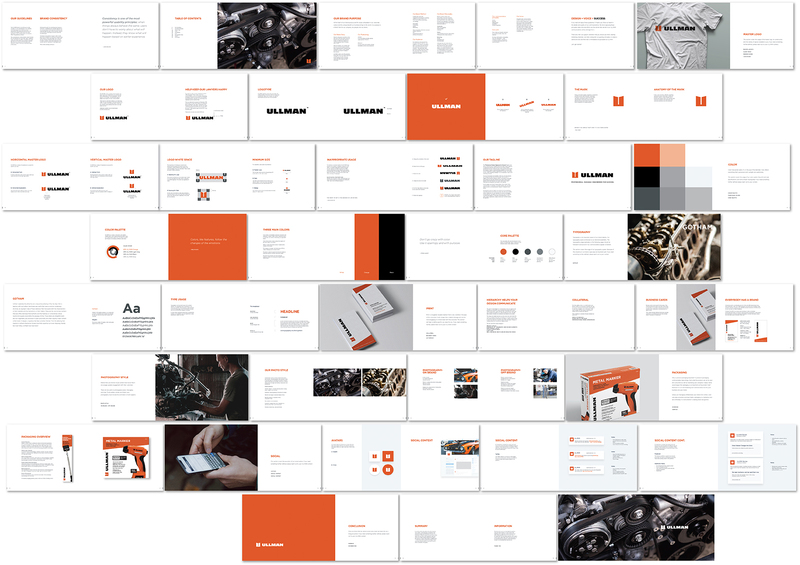 The plan of attack was to re-tool the brand mark and create a tagline and content roadmap that would drive product messaging for the distributors as well as the end users. We created a contemporary mark that was a better representation of the company’s dedication to “Professional, Durable, Engineered for Success” newly created tagline. 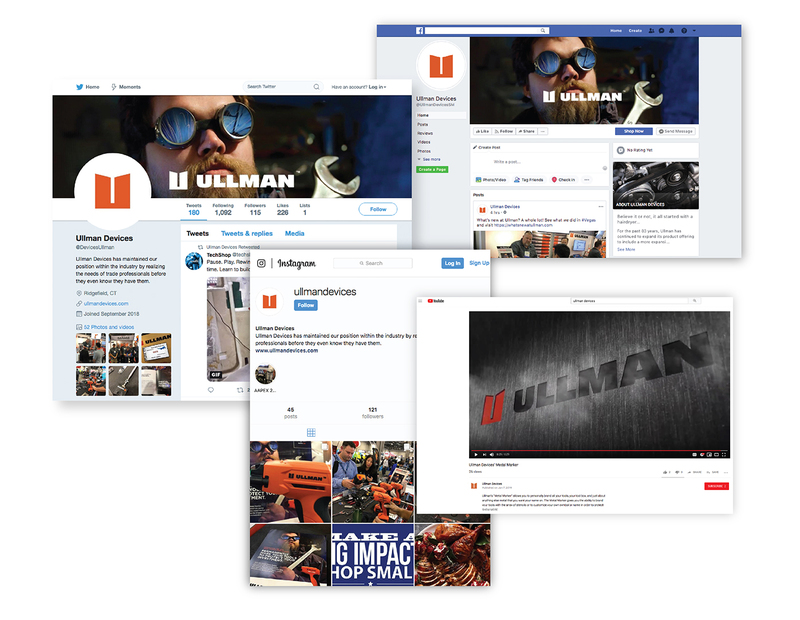 The attitude became a rallying cry for the company and an emotive direction for the brand – a shared bond that reignited the relationship between Ullman and its distributor base. 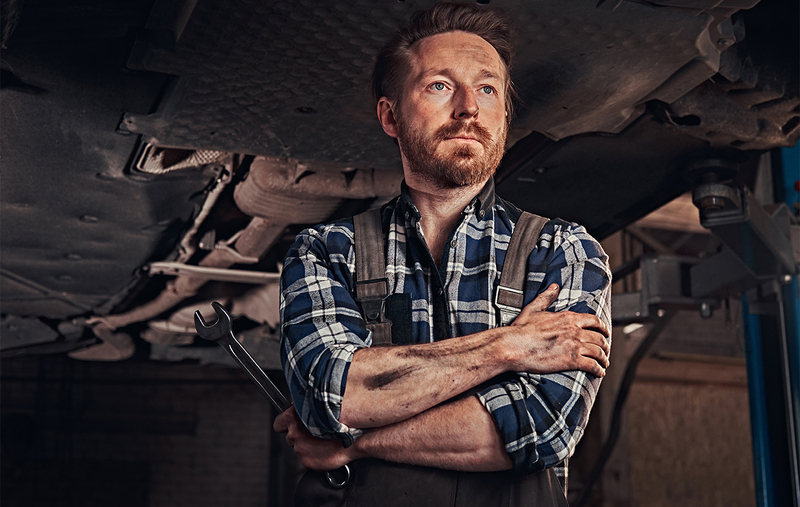 Retooling a brand is a little like reinventing the wheel. Some would say simple, some would say hard, either way it impacts everything it comes in contact with. 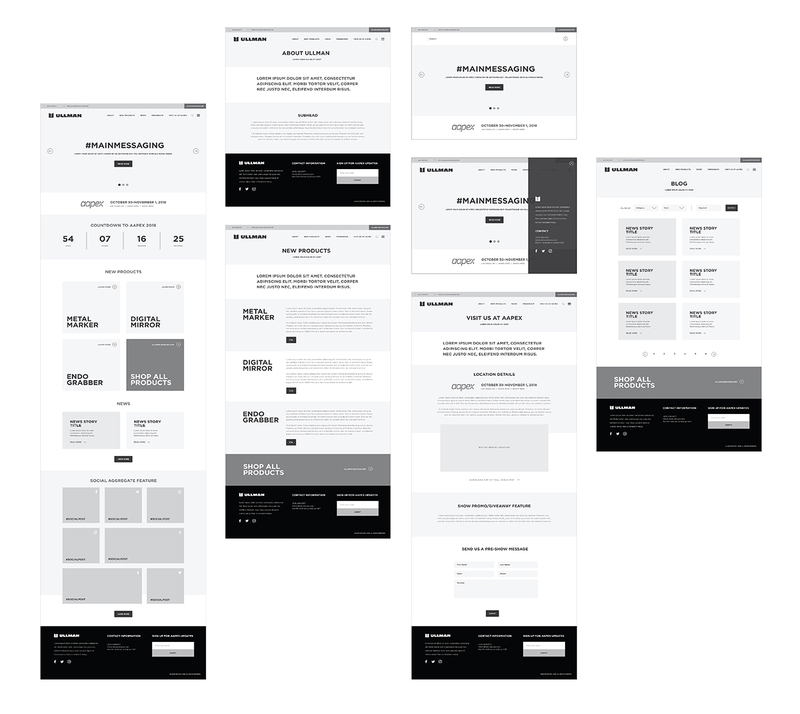 Website wireframes were essential to establishing an intuitive user experience. Ah, the collateral touchpoints, where the rubber meets the road. The consumer at this point has an unbridled interaction with the brand. 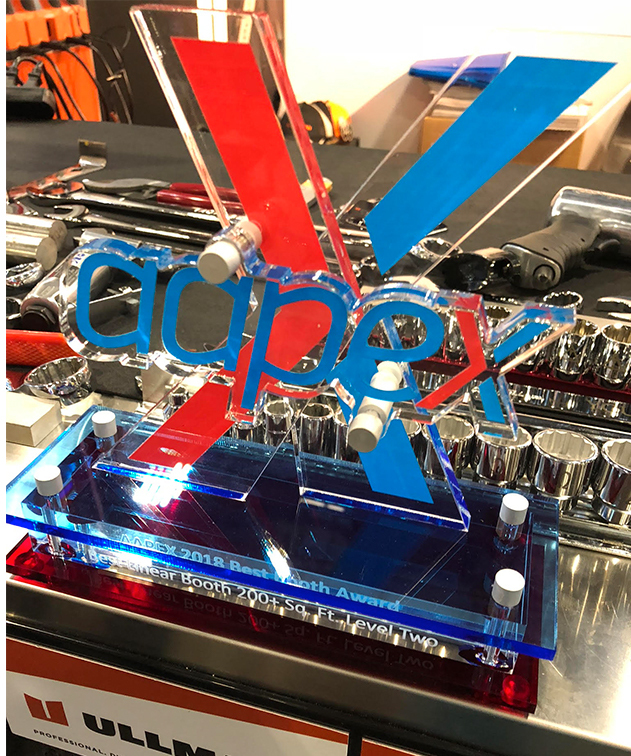 The new marketing campaign was the talk of the 2018 AAPEX show in Las Vegas, NV. 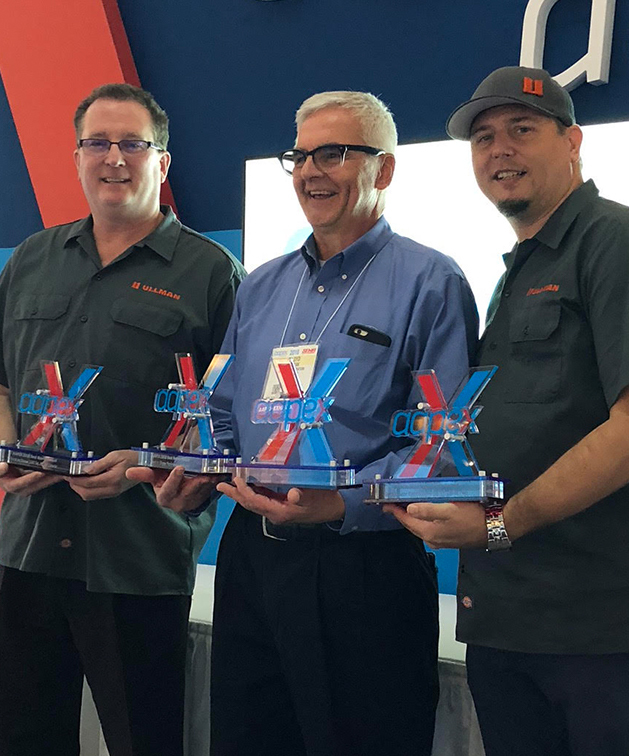 Creatively, the tradeshow materials and ad campaigns won accolades from the AAPEX trade show group and Babcox Media. 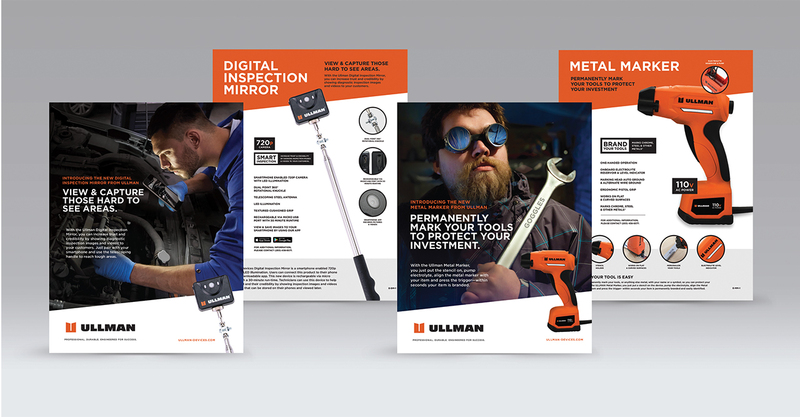 Strategically, it endeared the unique brand values of the entire Ullman Devices organization to the specialty tool industry. We were getting the new message across! 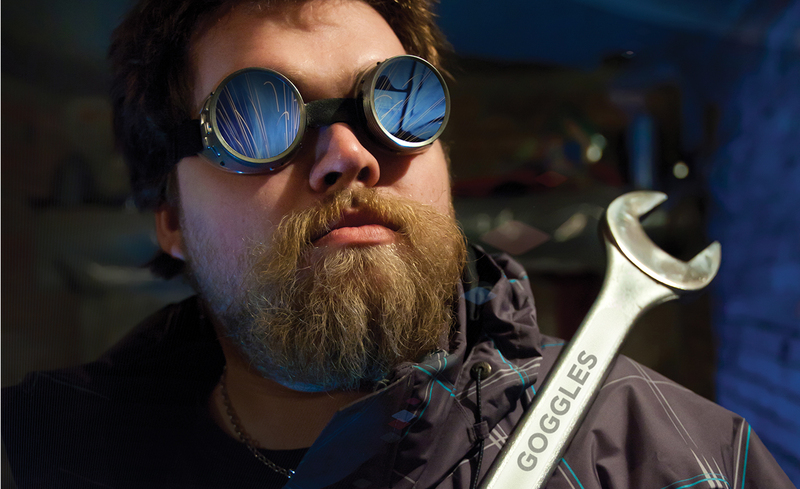 Did we mention social media? All channels were active, engaged, and growing. Initial new product sales are through the roof. 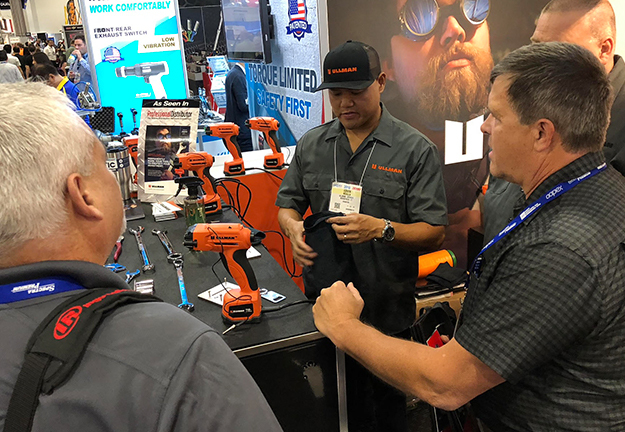 Fourth quarter 2018 sales of the three new products launched at the show are exceeding expectations. 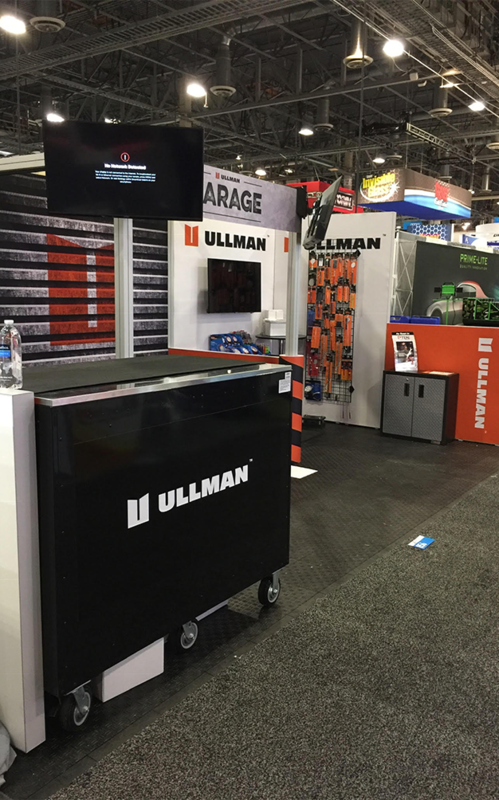 The Ullman Distributor base has flooded the microsite and corporate headquarters in Chicago with new product requests. 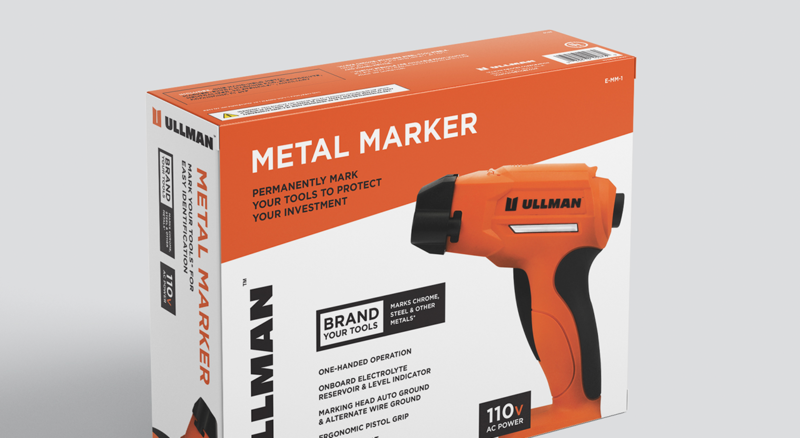 Initial sales for the new items has consumed all initial product production and 1st quarter 2019 is looking as though it will do the same. 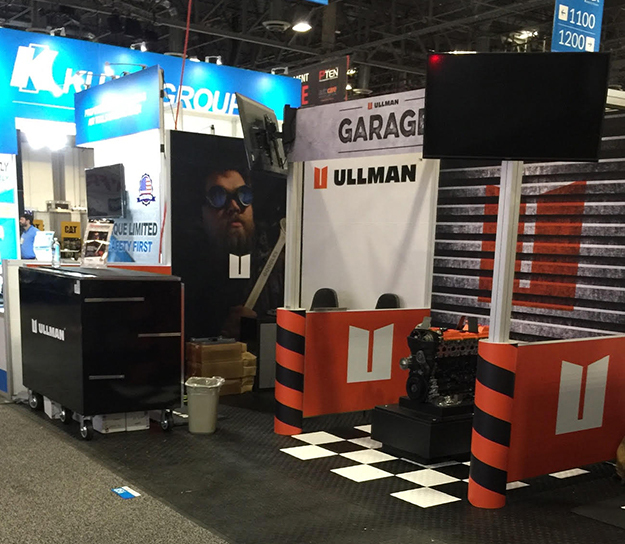 Ullman proudly took home two of AAPEX’s Best Booth Awards in 2018. 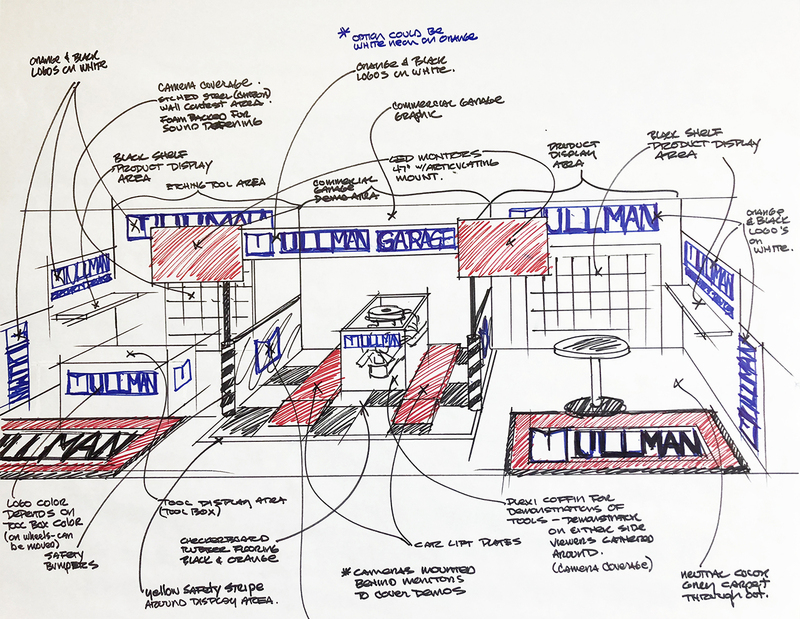 Booths were judged on a combination of design and interaction.